115V-4.5 AMP; BURNS 7 LBS PROPANE PER HOUR-MANIFOLD AVAILABLE AT CHARGE. AUTOMATIC IGNITION; WT. 34 LBS. ; L= 27" ; W= 11" ;H= 17"
REQUIRES TWO (2) 100 LB TANKS WITH MANIFOLD FOR MAXIUM OUTPUT. 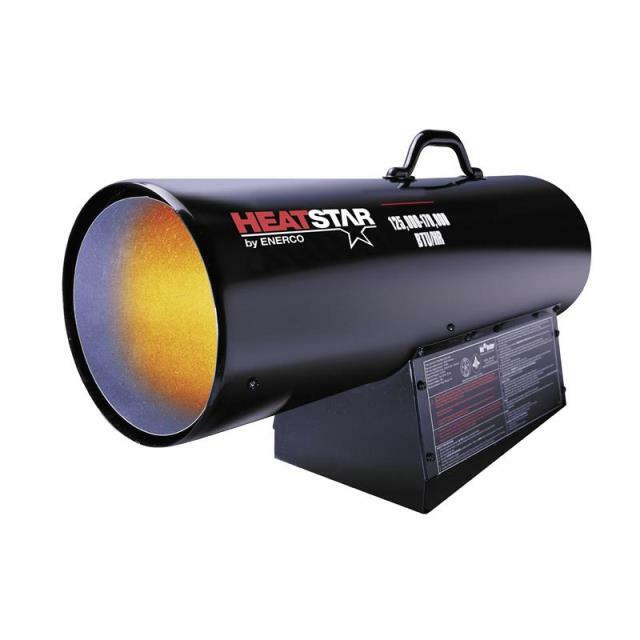 * Please call us for any questions on our heater propane 150 000btu rentals in Cincinnati Ohio.